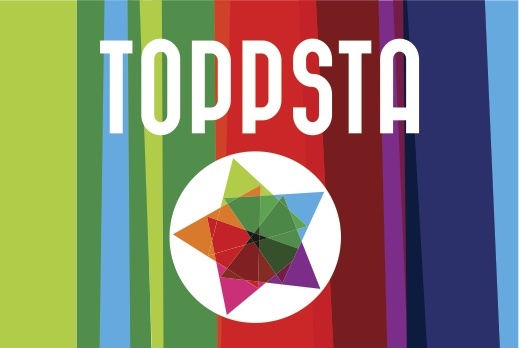 If you’re looking for book ideas, children’s book review website www.toppsta.com has over 30,000 reviews written by children, parents and teachers. 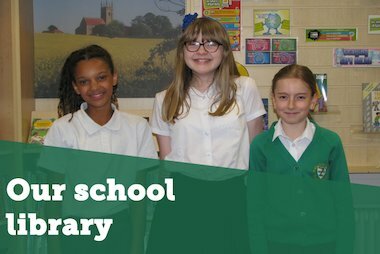 It’s a great place to discover which books readers have really enjoyed reading, whether you’re interested in the latest David Walliams books, brilliant debuts like Brightstorm by Vashti Hardy or a handy book review template to use in the classroom. Here Toppsta founder, Georgina Atwell discusses some trends she’s noticed in children’s books and shares which books are really getting kids reading. Though I’d describe my son, age 9 as a good reader, he’s definitely not a keen reader. But he’s not alone and I frequently get messages from parents asking for book recommendations for young football fans. I was delighted then to discover the Ultimate Football Heroes books, an accessible, engaging series of biographies of the most famous footballers and their journeys to stardom. They’re relatively short, easy to read and if you’re a football fan (or a wannabe player) they make for essential reading. Likewise, the Football School books are great for those kids who aren’t into fiction. Using football to teach kids about the world around them, with chapters on biology, maths and history they’re quirky, funny and genuinely engaging. I can’t say that about many of the reference books from my childhood. I’m thinking here particularly of minecraft books, one of the most popular searches on our website. It seems counter-intuitive to be promoting books which appear to be encouraging MORE screen time but isn’t that what reference books are all about; getting kids reading about a subject they already love? Look out for more Roblox and Fortnite books coming soon. Classic books like Meg and Mog have always popular with our reviewers but now there’s a new wave of middle-grade books, which don’t pretend to be anything other than a good, old-fashioned yarn. I’m thinking of The House with Chicken Legs by Sophie Anderson or Sky Song by Abi Elphinstone. There was a time when these would be considered too ‘traditional’ for modern kids but they’re now they’re being celebrated. Pure escapism and if I may say so, all with stunning covers. I have lost track of the number of people recommending You Are Awesome by Matthew Syed. An accessible, practical, approach to helping kids develop a growth mindset. Likewise, Looking after Your Mental Health by Usborne is a book that kids can dip into when they feel like it. In the maelstrom of fake news, kids (and parents) are turning to books for properly researched, fact-checked, thorough analysis. 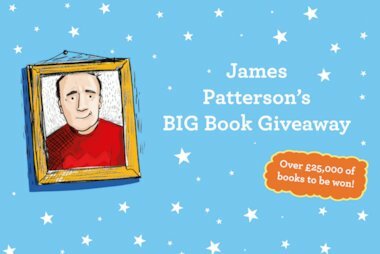 Our reviewers LOVE the Tom Gates books and it’s obvious why, kids (and adults!) do love a good giggle. Nothing new there, I hear you say but I think with increasing mental health issues, a good giggle is more valuable now than ever. Particularly, if the book is read aloud and you can have a shared giggle with family or classmates. For all the exhausted parents trying to keep kids busy on rainy days, empty weekends and long summer holidays those books that encourage kids to get creative with minimum effort or resources are really popular at the moment. See DK’s Outdoor Maker Lab or Backyard Explorer by Lonely Planet Kids. That’s the summer holidays sorted then. It is absolutely brilliant to see publishers supporting new talent like Boy Underwater by Adam Baron and Children of Blood and Bone by Tomi Adeyemi. Is this finally a backlash against celebrity authors? Who knows, but it does seem to be a return to supporting authors for just being authors. This is the reading stage we get the most enquiries about and with my own 6 year old just moving on from Oxford Owl books, I really appreciate how much hand-holding is required at this milestone. So which are the books that are half a step on from picture books? Well, it’s the full coloured fiction series for new readers, and now, in addition to the classic series like Claude by Alex T. Smith, we have The Little Gems from Barrington Stoke and now a new full-colour illustrated, original fiction series from Little Tiger Press coming out in 2019. Whilst many publishers have toyed with digital, few have done it as well as Carlton’s iExplore series, where readers can download a free app to bring the subject to life. In the iExplore Brain title for instance, users can hold the app over the book to see the sections of the brain and really get to understand how the brain works. Print and digital working together, to enhance the reading experience, rather than replace it. You can buy many of the books mentioned above including David Walliams, Tom Gates, You Are Awesome and more in the brilliant Scholastic Book Clubs September offer ! 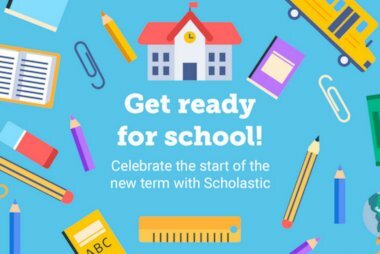 Parents at Scholastic offer us some top tips for getting your little ones ready to start school this September.